Nigerian transse xual and beauty queen Miss SaHHara said she has always been a woman and would have killed herself if she had not moved to the United Kingdom. In an exclusive podcast interview with NostringsNG- Voice of Lgbt Nigeria, a Nigerian based LGBT radio station, the model and Trans right activist, said that it is not true that she suddenly decided to be a woman overnight. Miss SaHHara was crowned the first super Sireyna, a global transgender pageant in Philippine for exceptional individuals with talent, grace and brain on one of Philippines biggest daytime television show called Eat Bulaga on GMA Network, where she represented Nigeria, surprising a total number of over 1.4million people who ended up viewing the show. The Idoma-born, Benue State Trans singer/songwriter, whose real name is Clifford Oche, also spoke about why she decided to move away from Nigeria. 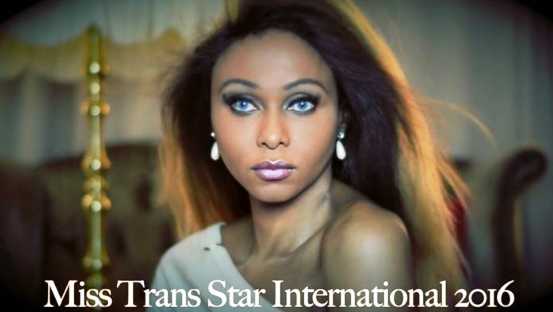 She will be representing Nigeria in the upcoming 2016Miss Trans Star International pageant that will be held in Bercelona, Spain, on September 7th.